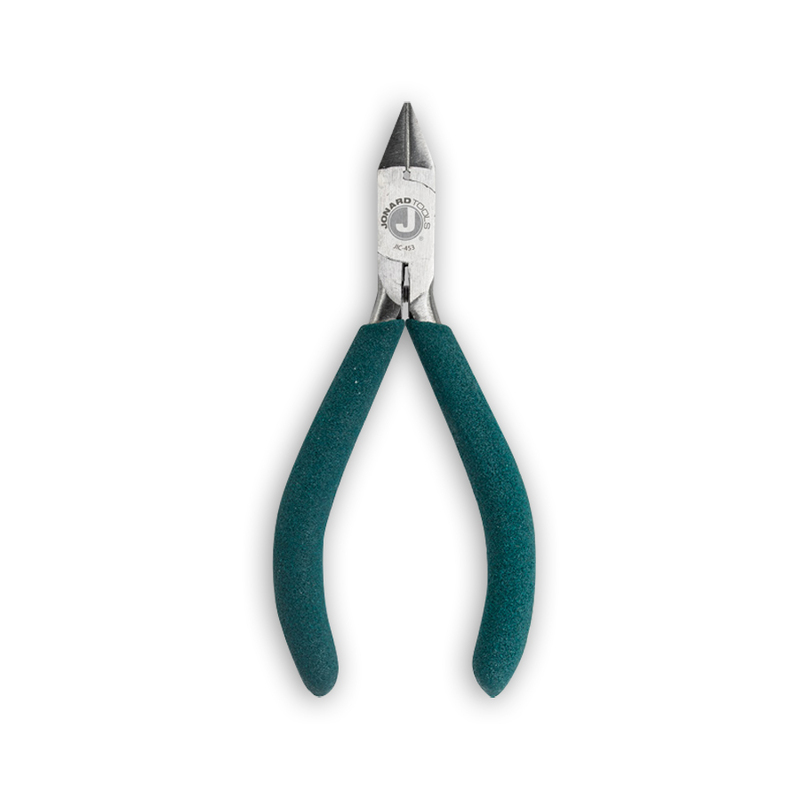 Long nose have side cutting blades, a crushing slot, one .030" stripping hole, and a thin knurled nose to facilitate handling of the wire at the terminals. The comfortable handles are yellow plastic dipped. 6 7/8" long. Also known as KS21257L1. Five tools in one, combines crimper for UR/UY/UG, AMP tel splice connectors, 709 series connectors, crimping "B" type connectors and a long nose pliers. Designed for installing and extracting heat coils, fuses and other cylindrical shaped components. The thin nosed jaw allows easy access to tight restricted areas. Yellow plastic handle, 5 1/8" long. For heavy-duty use. Polished head, black handles and flush bolt. 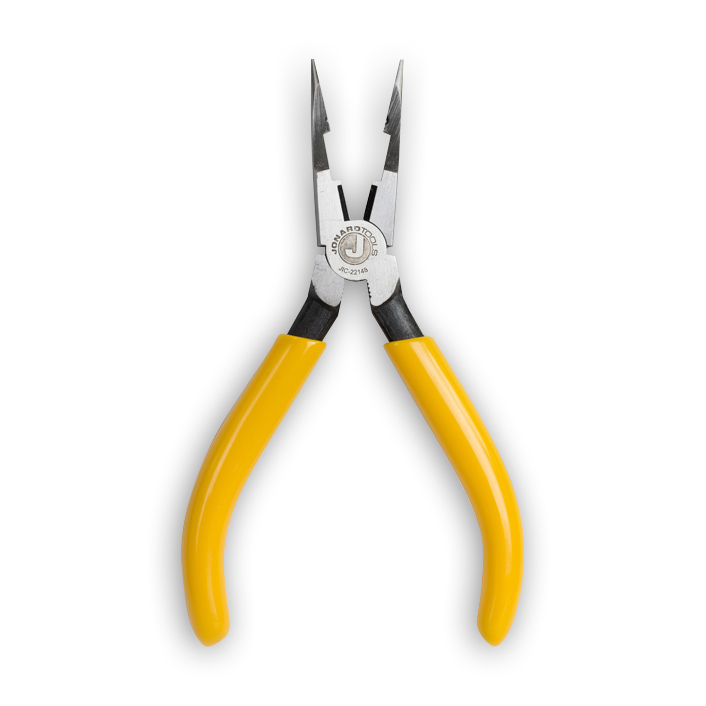 Machined gripping teeth and 3/8" hardened wire cutter. 7 3/8" long. Nose is bent 70° for maximum visibility. Used in confined areas. Design includes knurled jaws for sure wrapping and looping. Comfortable ergonomic handles. Length 6 3/8" with yellow plastic handle. Nose is bent 60° for maximum visibility. 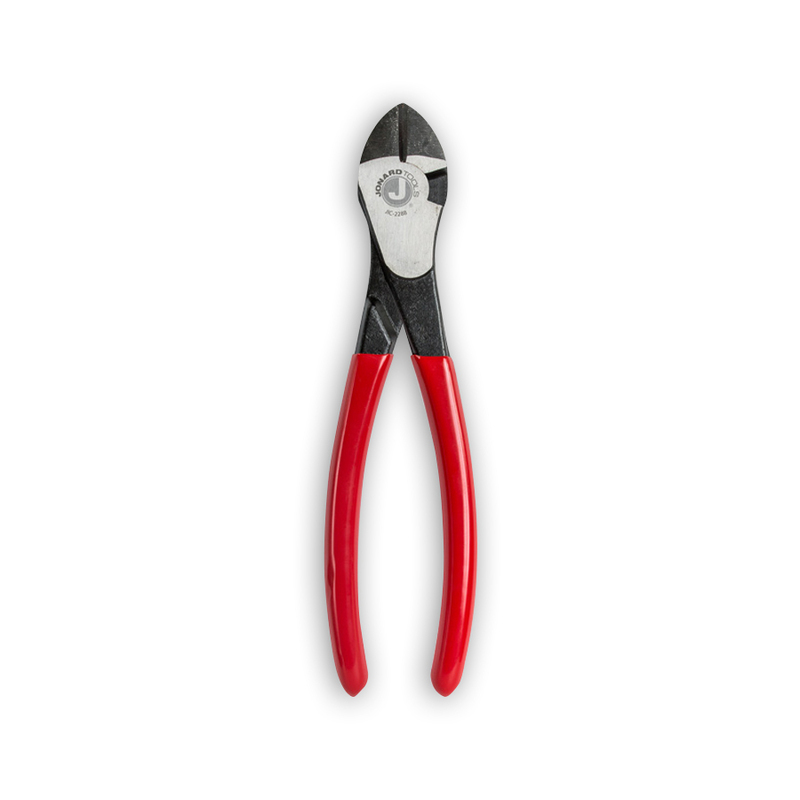 Used in confined areas for bending and forming fire wire. Inside jaw and jaw edges are polished to prevent nicking the wire. 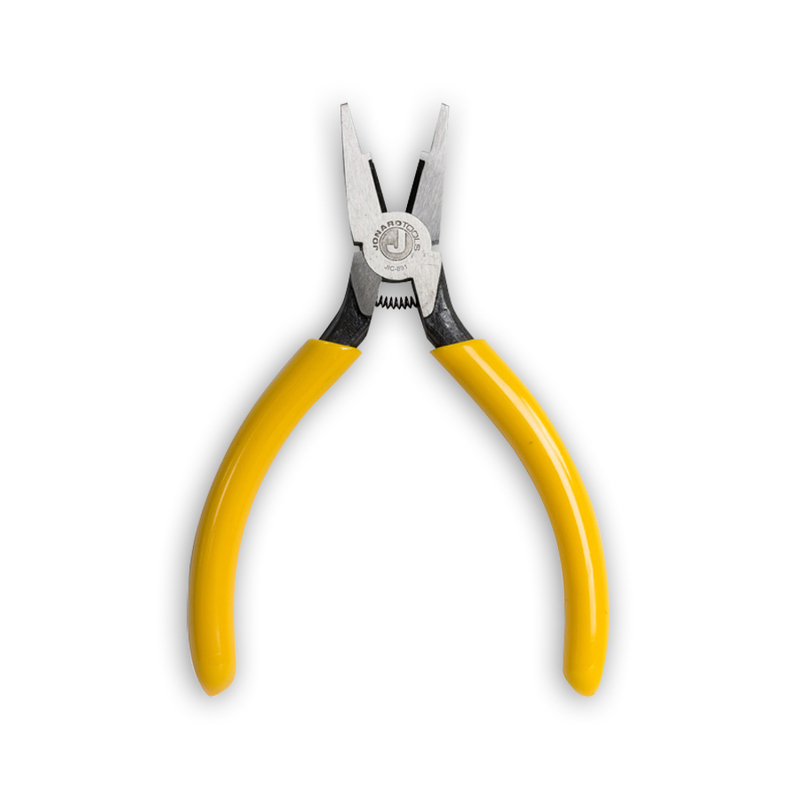 Plier has a spring loaded ergonomic design. Length 5 1/2" with a dark blue plastic handle. Manufactured with a secure tongue and groove design for a non-slip grip (even under heavy pressure). 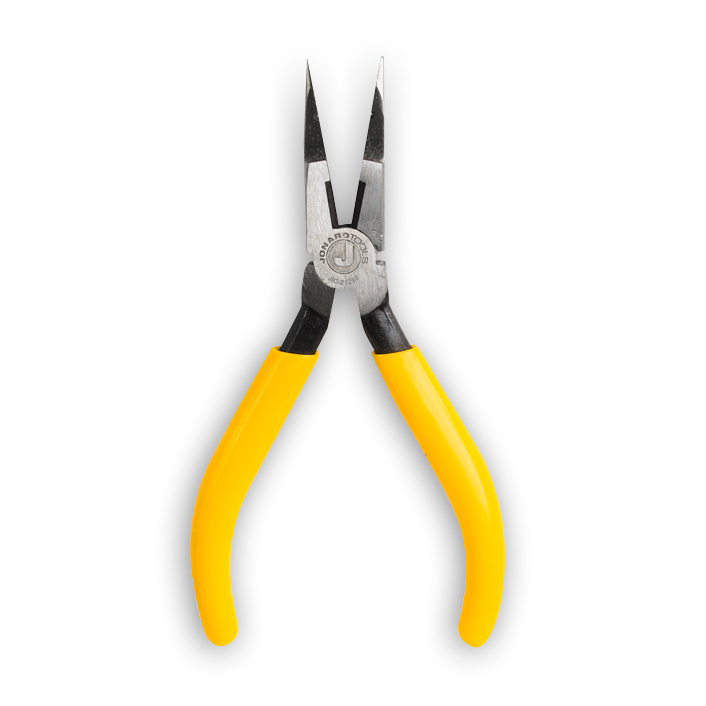 The jaws provide a wide range of openings with a smooth, positive interlock between halves. Handles are plastic coated, but are not insulated and do not protect against electric shock. 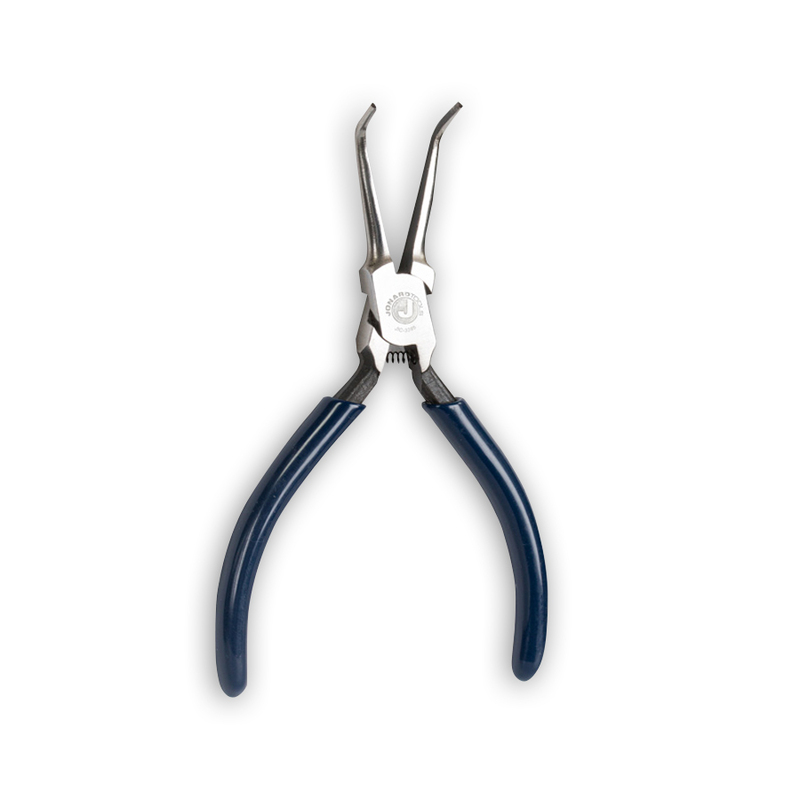 Tapered nose diagonal cutting pliers with standard bevel knives with .030" and .045" skinning holes, with crusher used for multi-purpose wire work, with two V-shaped stripping notches. The comfortable handles are red plastic dipped. 6 1/2" long. Also known as DIAGD6 or ask for the DIAGE6 which is identical to DIAGD6 but has an aluminum oxide insulating coating on the outside nose surface. 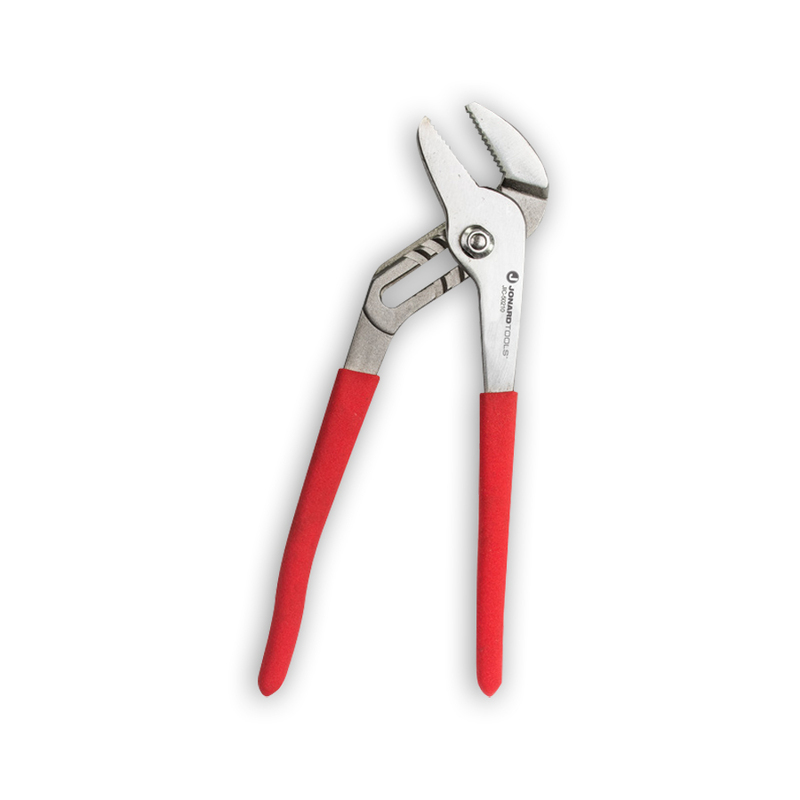 Connector-Crimping Pliers with Side Cutters designed to press UG, UR, UY, 709 series connectors, crimping "B" type connectors, and AMP tel splice connectors. A special stop behind cut out prevents damage to connectors. Utilized on combinations of plastic and pulp insulated 19, 22, 24 and 26 gauge copper conductors as well as 20 gauge plastic insulated copper steel wire. 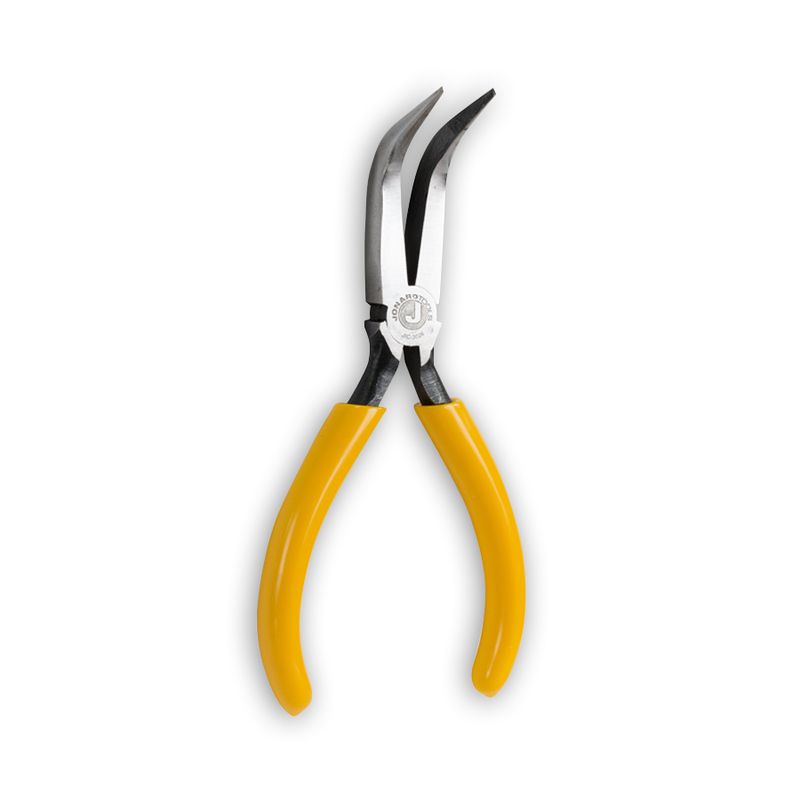 Comes with side cutter and yellow handle 5 13/16" long. Also known as PRESSINGC. 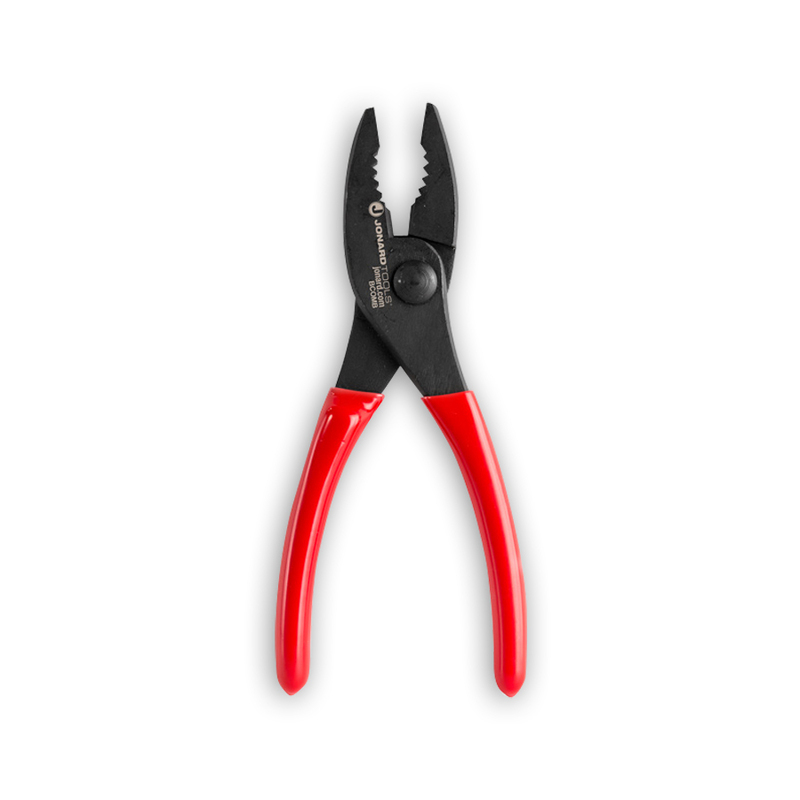 Crafted for heavy-duty wire cutting and made of specially forged alloy steel designed for strength and cutting ability. Red plastic handle 8" long. Designed for heavy duty use in construction and maintenance work. 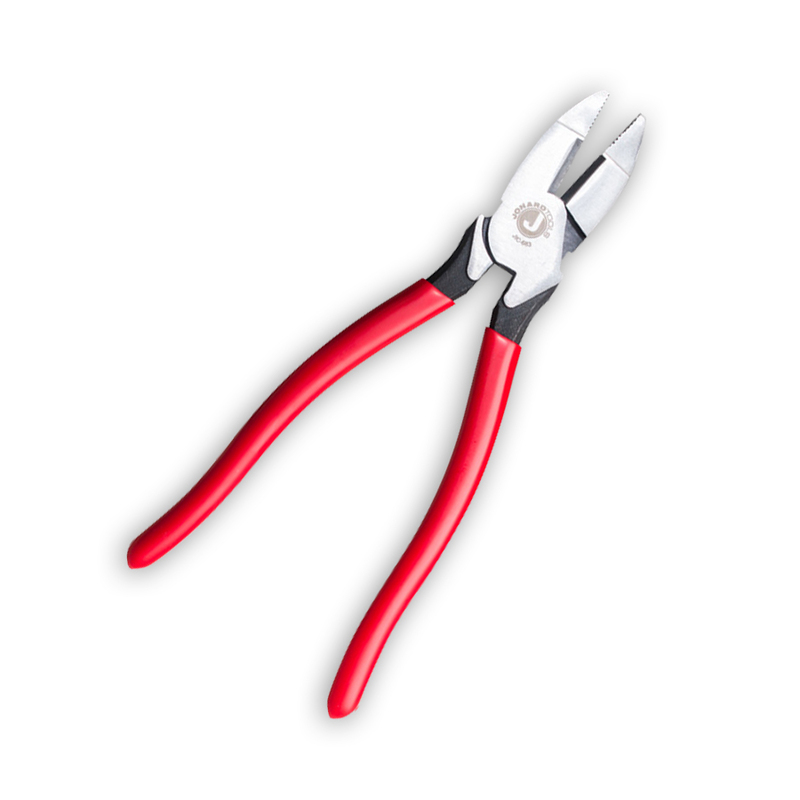 These pliers are high leverage for cutting bolts, nails, and many gauges of wire including high-strength wire. Cutting edges cut clean and remain sharp. 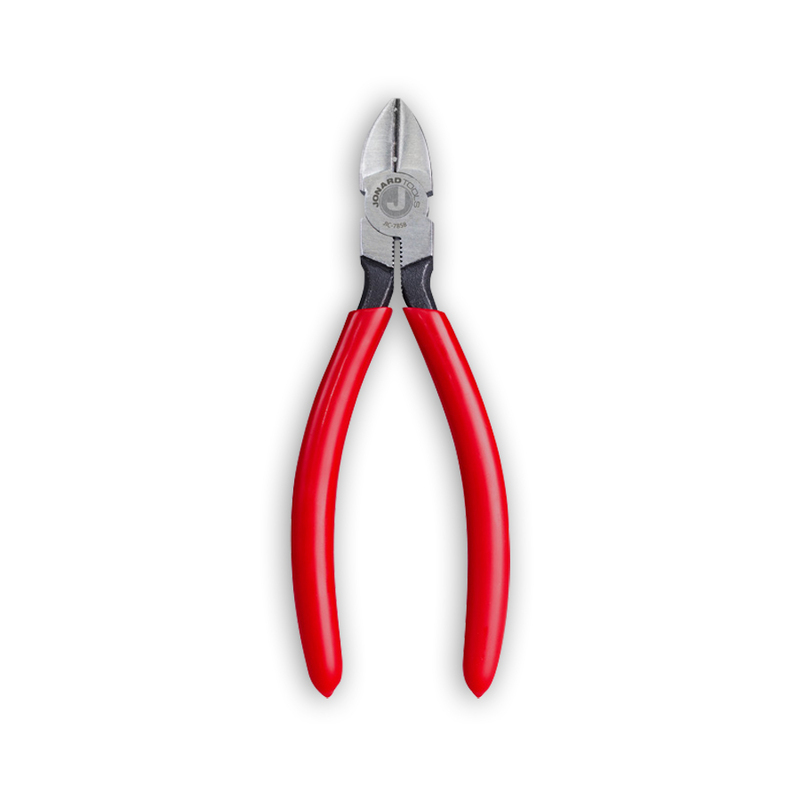 The cushioned-grip, comfortable handles are red plastic dipped to approximately .007". 9 3/8" long. Also known as SIDECUTB9. 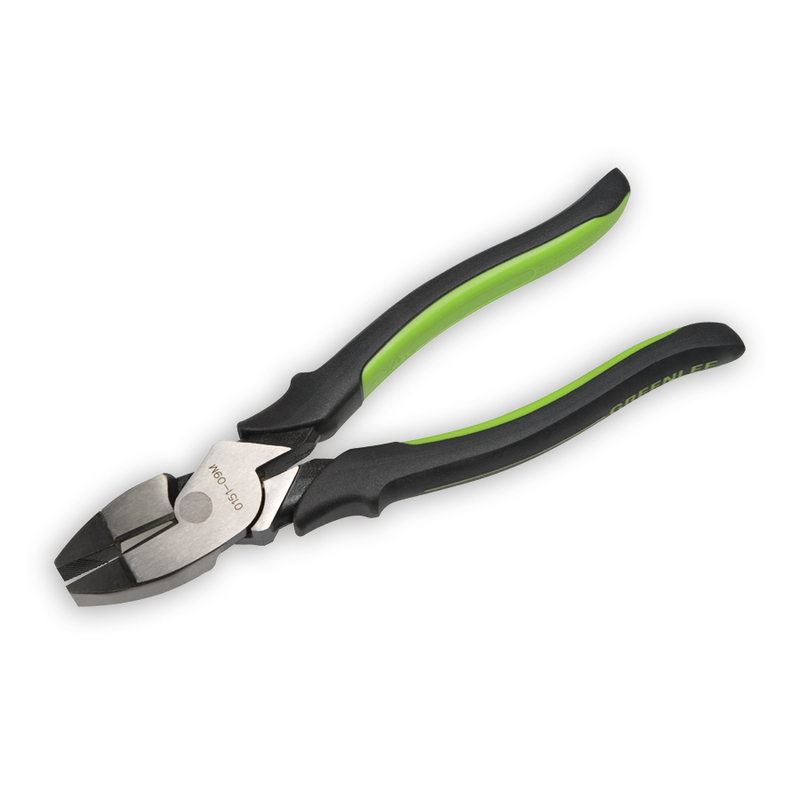 Greenlee 0151-09M High Leverage Side-Cutting Pliers 9"
Custom grip allows area for user identification. Slip-proof, ergonomic molded grips for increased comfort and reduced user fatigue. - Wider Grip Design Provides Larger Load Bearing Area. - Location of Handle Ridge Allows for Users to "Choke up" for Greater Control. 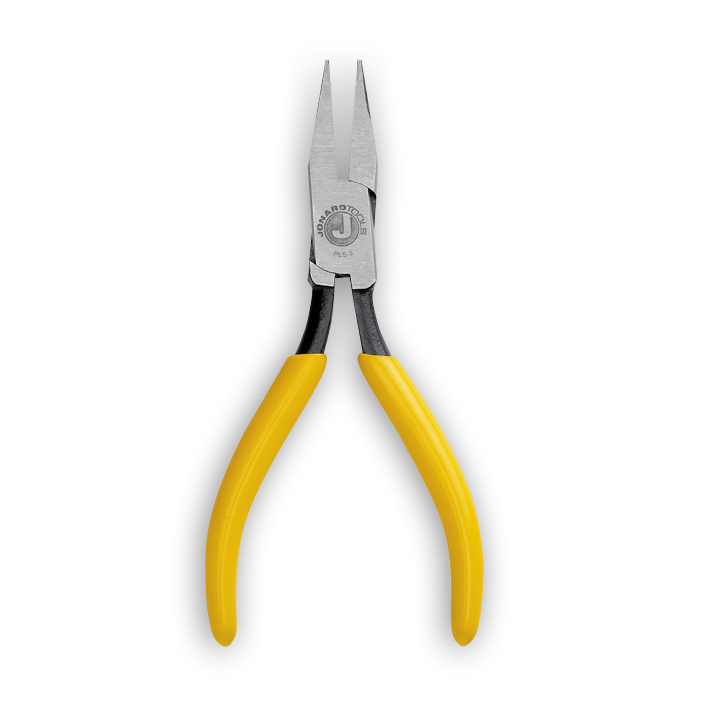 - High Leverage Pliers Design and Diamond-Serrated Jaws for Optimum Cutting and Gripping Performance. 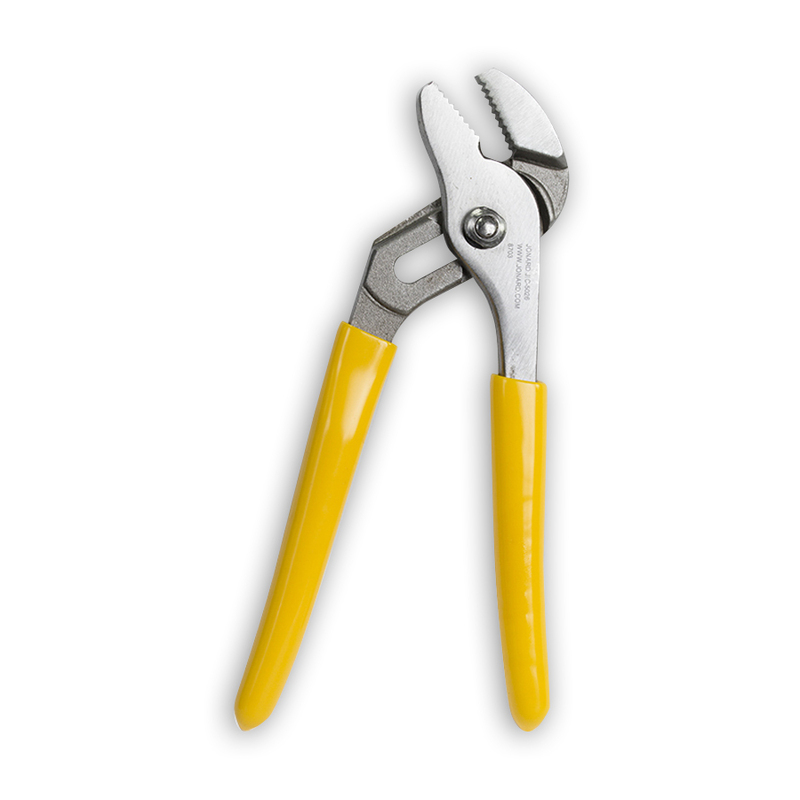 - Effectively Cuts Hardened Wire, ACSR, Bolts, Screws, and Nails.